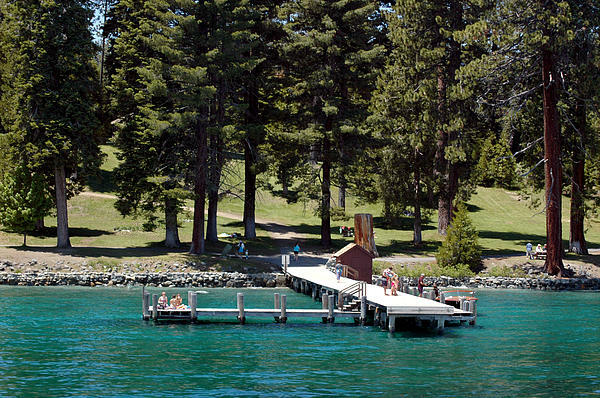 In 1965 the State of California purchased the 1,989 acre property for use as a State Park. 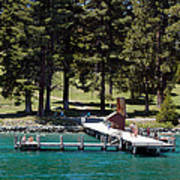 During the summer months, tours of the Mansion and grounds are conducted several times daily. 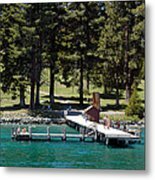 Ehrman Mansion, Sugar Pine Point State Park on Lake Tahoe's West Shore at Tahoma Sugar Pine Point names a forested promontory perched above the western shore of Lake Tahoe, as well as a state park that offers ten terriﬁc miles of trail. Sugar pines are, alas, a bit scarce these days. 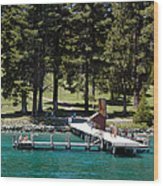 In the 1870s, there was lots of logging in this part of the Tahoe Basin in order to supply Comstock Lode miners with lumber and ﬁrewood. One of Lake Tahoe�s ﬁrst permanent residents was �General� William Phipps, who homesteaded the land we now call Sugar Pine Point in 1860. Phipps protected his 160 acres from being logged. Turn-of-the-century banker Isaias Hellman built �the ﬁnest High Sierra summer house in California� a rustic, yet elegant three-story mansion overlooking the lake. Now known as the Ehrman Mansion (for a later owner) the house is open for guided tours during the summer months.